Port Moresby, PNG, 10 November 2017 -- Br. Kramar Mission Haus was blessed by Fr. Alfred Maravilla last 10th of November, 2017 in the presence of the Rectors, other confreres and the staff of the Provincial House Community. The house has been completed after a few months thanks to the hardworking construction staff of Mr. Vincent Oberes, our Head of the Construction and Maintenance in the community. This mission house is meant for the Emmaus Conference Centre ancillary staff and DB Araimiri ancillary staff as a kind of transient house. It was named after Br. 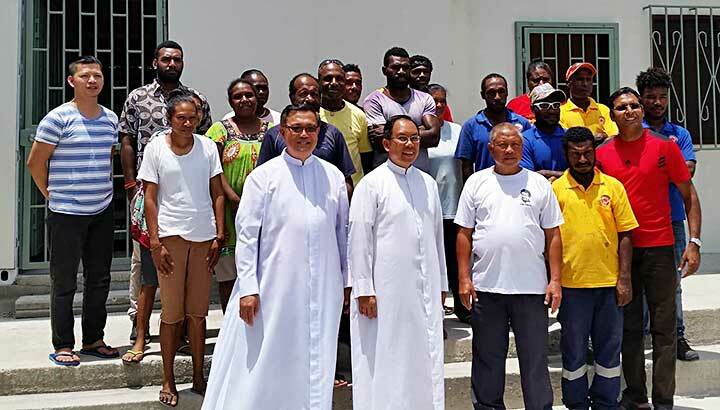 Joseph Kramar, the Slovenian Salesian Brother who has been one of the pioneer missionaries in Papua New Guinea with Fr. Valeriano Barbero and Fr. Rolando Fernandez. We thank the Good Lord for his blessings as we continue to work for the benefit of our needy brothers and sisters.